In Canada 68% of people have their own financial advisers. It’s just what they do. They have a qualified expert that guides them on the various protection, savings, investment and pension needs they encounter. They make informed decisions. They pay for it and it pays them back 10 fold. They end up with better protection in the event of illness or worse, with more short term provisions in the event of an emergency, longer term savings for their children's education and significantly more retirement savings than we seem to be able to muster as a nation here at home. 83% of the people who use a financial adviser regularly consider themselves better off for having done so. So where do I, as a biased financial planning professional, feel that I, or my kind, can help people. So I thought I’d try to summarise the outcomes our clients achieve having used our services. On our watch, our clients will have the right amount of the right type of insurance with the best provider at the cheapest premium possible. Tax relief will be utilised if available. Our clients will aim to have structured savings, addressing their emergency needs in the short term, future education costs and longer term savings and investments which aim to earn better then deposit rates of return. Our clients will know how to save tax. Our clients will know what the tax benefits are to saving for retirement. They will know how to maximise their tax free cash at retirement. They will be invested in funds they understand. These funds will match their attitude to risk and be monitored for them. They will know how they are being charged for their funds. Our clients will understand the value in inheritance planning. Our clients will simply be better off. The financial planning ethos in Ireland is very reactive and I think everyone should take more control than that. Dealing with something when it comes up is simply too late. It's probably a little late to start saving for retirement at 60. There is no point trying to take out insurance after you get sick. There is no point starting an emergency fund when the emergency happens. You don't buy into a market at the top. Be proactive, not reactive. I know I am biased but don't wait around, engage a financial adviser you like, that is well qualified and most importantly not tied to an individual product provider. The most effective methods of making money turn into more money is put it in lots of baskets, not just one. But you heard that before, probably agreed with these sentiments and then moved on with your day. But what does “never put all your eggs in one basket” really mean when it comes to your savings. There are 4 main types of money. 1. Cash – the one we all know so well. Bank accounts, credit union etc. 2. Property – bricks and mortar, it can’t go wrong! 3. Bonds – Governments and large companies want to raise money so they issue bonds. Investors buy these bonds and the government in turn will pay them back their money, plus an interest rate yearly. • Cash is very laid back, lazy almost, it does very little except sitting in the corner, waiting, earning very, very little. We all know the type. • Property is your normally reliable, steady Eddie friend. It has an eye for an area it likes. Property will sometimes let you down and when it does it lets you down badly but it’s usually not entirely its own fault! It’s quite inflexible but normally will do what you want it to do if you choose the right one in the right place at the right time! • Bonds are your rock. They will continue to pay you back long after you invested in them at the agreed rate. Beware though. You made a long term commitment so you have to stick with it if you want all that you gave them back! • Shares are your wild, excitable, crazy socialite companions when young and enthusiastic. They can often turn into real leaders in time. They are full of ideas, sometimes crazy, sometimes terrible and sometimes brilliant. Stick with these guys for the long term and if you know enough of them the good ones will carry the airy fairy ones along for the ride. These personality types all react to things in a different way. Often assets react in opposites so when one asset class goes up, another can tend to go down. Knowing this in advance means that we can often protect clients against the big falls that people who invest in the “one basket” approach suffer. Like any decision in life, how you invest is entirely down to you. And yes, investment can fall as well as rise and you know that the past is no guarantee as to what the future holds but my genuine and honest belief is that there is some good in all of the above. A broad mix of all of the above allows investors to control their risk while still earning a return. A return that is very unlikely to be earned if you sit in the corner and be lazy, uninterested and withdrawn. I will never suggest a client uses their emergency savings like this but I will probably suggest that your pension is invested broadly. Your medium and long term money should never sit in the corner lonely! Get Paid When You Can’t Work! Now folks, there are lots of types of insurance out there. We hear the ads every single day. Life insurance this, serious illness cover that. Stop for a second and think about what you are prepared to insure. Insurance is a simple thing really. You should, within affordable limits, pay a premium to cover an event that, should it actually happen, you could not afford to pay for yourself with savings. Your family couldn’t pay off the mortgage if you died and your income would be gone so they couldn’t pay it back monthly themselves either. Hence mortgage protection makes absolute sense. It makes sense to have a tax free pot of cash in the event of you being diagnosed with a serious illness. It just does. Trying to deal with a serious illness is hard enough. Don’t pile financial stress on top of that situation. Worth a few bob every month for not having to deal with that stress too. On the flip side I am not a believer in Payment Protection. I don’t think it is worth it. It promises to replace a payment you are making monthly, like a mortgage payment often for maximum period, often 12 months. Not for me thanks. I recently lost my iPhone 1 month into a 2 year contract. No insurance. Because you are simply paying for your iPhone through your contract for the full two years I will admit to being a recent gadget insurance convert. Buying a new phone is an expensive business. So €7.99 a month it is so I don’t have to face that again. And this brings me to my main point. I am financial adviser. I have witnessed so many variations on the ways clients manage their finances. In essence it all boils down to a very simple formula. Money in, expenses out, savings if any remain, spend the rest, get paid again. The one piece of this that binds the whole thing together is your ability to “get paid again”. Please consider insuring this! It’s imperative you get paid for the long term. Single or married. Kids or no kids. You or you and your family are absolutely reliant on your ability to bring home the bacon. I am not sure why this insurance type is not utilised more in Ireland but it’s not. Perhaps it’s not advertised as much but less than 15% of the population currently know that, should they get injured or ill, that they will have income to pay their bills for the rest of their career. Compare that with over 50% having some form of life insurance. A stark difference. It’s a very straightforward and often inexpensive insurance. It simply replaces your income. It qualifies for tax relief and pays an income for as long as you are out so as far as insurance types go this ticks most of the boxes. It naturally comes in various shapes and sizes and that is our job to build the right plan around you, your lifestyle and your affordability but it is an absolute must! As always we are happy to help! Just comment on Facebook to ask any questions, get in touch directly with us on nick@lawlorfp.ie or contact Aine on aine@lawlorfp.ie and we can arrange a call. Use my children’s allowance to save for the kid’s education! Many of us are familiar with the game we used to play which matched items from Column A with corresponding items from Column B. Well, financial advice is quite similar really. We have to identify events our clients will need money for in their lives, now and in the future, and then match a portion of their income to this event. Simply because unplanned surprises are the enemy of financial advisers! One of the most common needs our clients have is to address the future costs of their children’s college fees. Capitation fees for undergraduate courses are today costing families €3000 per annum per child. With a 4 year course for 2 children the number required to simply have your children just registered for college is €24,000. This doesn’t take into account accommodation costs, books, travel, food, social life or other course related activities. Even if your kids live at home to reduce this cost, you could still conservatively double the €24,000 on all the other associated costs. So identifying the event is the easy part. Having the bones of €50,000 for 2 kids to go to college is the hard part. So what do I, as a financial adviser, do in my house with coincidentally 2 kids? Well the answer, or at least part of the answer, arrives from the Dept of Social Protection every month. Before we copped on to the fact that we needed this money for a massive future cost, it simply vanished into the household budget to be spent in Smyths or Supervalu or swimming classes, never to be seen again. If this is what happens to you please ask yourself could you still run your household without spending your children’s allowance on the day to day expenses of running your home. By simply diverting that money into savings you will go a long way to addressing this future financial need. No surprises. Let’s quickly look at the numbers. This example goes for any number of children really but let’s stick with 2. Every year this is €3,380. In 15 years of savings this amount you would have €50,400 without earning a cent of interest. Now this is where we can add some real value. Considering this is a medium to long term goal I believe you should consider using a longer term investment savings account. Even if you earned a modest 3% return after provider charges the amount you would have 15 years would increase to €63,552. The Revenue would want to tax a bit of the growth but you would still have approx. €8,000 more to spend if you earned a modest rate of return after the government took their pound of flesh. My point is just this, match part of your income to a future cost. Using child allowance for your children’s education seems like an obvious fit. There are of course a variety of options once you have decided if this is a good thing to do, and this is where we will earn our crust ensuring that you choose the right option for you. The safety net here is that should you really need this pot of money for something else then that’s ok too. It’s there and available. You decide and you have full control. If you need any help with planning this, please feel free to get in touch with me directly and I’d be happy to help. Speak with Aine on 0879320596 or email me directly on nick@lawlorfp.ie and we can arrange a call. Have you ever switched from one employer to another? Have you ever been made redundant? Have you spent some time working for yourself? If you can answer yes to any of these three questions then ask yourself one more question: did you start a pension plan during that time. If the answer to this question is also yes, then there is a good chance that you have a pension plan somewhere which isn't working as hard as it could be. It was the arrival of Personal Retirement Savings Accounts (PRSAs) a few years ago that made it easy for people to take their pensions with them when they moved jobs or were made redundant. Before PRSAs came along, people who were moving from one employer's pension scheme to another usually had to leave the value of their pension in their former employer's scheme until they retired. This meant that the value of their pension was at the mercy of the old employer's advisers and investment managers. What's more, with no new contributions being made the ongoing management fees and charges could eat away at the pension value over the years. The good news is that if this is a scenario you are familiar with then there is a very straightforward solution. You can convert the residual value of your former employer's pension into what's called a Buy Out Bond. This will give you more control over how and where the value of your pension is invested so that it better reflects your appetite for investment risk and reward. With a Buy Out Bond your money will grow tax-free until you retire and the annual management charges are generally low, typically between 0.5% and 1.5%. Another very important advantage of Buy Out Bonds is that in certain circumstances you may be able to get access to the value of your Bond when you turn 50, rather than having to wait until the usual retirement age of 65. A personal pension becomes even more important if you are self-employed. That’s because with no employer benefits to fall back on and an often variable income pattern, people who work for themselves usually realise the importance of careful forward financial planning. However, when self-employed people go on to join a company as an employee they usually have to park their personal pension if they want to join a company scheme. Many of these people will usually just leave their personal pension alone and stop paying into it. If this is what has happened in your case, it is well worth having your personal pension independently reviewed with a view to ensuring that your money is properly invested and that the ongoing management charges are as competitive as can be. In fact any pension that was taken out more than 10 years ago or so should be urgently reviewed by an independent financial adviser. It is only relatively recently that the charges and fees levied on personal pensions have become more competitive as new regulations have made the charging structures more transparent. An independent adviser can review the fees on an existing pension and either negotiate more favourable terms from your existing pension provider or advise you on the possibility of moving your pension to another provider. Which brings us to the issue of moving from one pension provider to another. While many people don’t think it’s possible, there is actually is no obligation on you to stay with the same provider. It’s now easier than ever to switch pension providers to secure lower fees and charges, higher allocation rates or an investment strategy that is more in tune with your retirement ambitions. 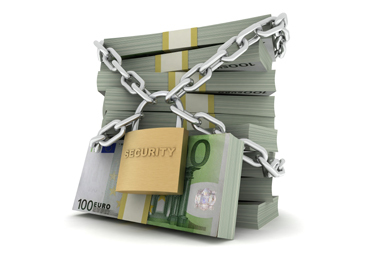 Lastly, do you know how secure your pension fund is? It’s an unfortunate fact that many pension funds have suffered from the economic uncertainties of the last few years. While pensions are long-term plans that are designed to accommodate the lows as well as the highs of the investment cycle, there will come a time when risk-taking needs to end and a more pronounced focus on security begin. This is typically 10 years or so before your planned retirement. That’s when you need to talk to an independent financial adviser about rebalancing your pension plan so that it is weighted towards the security of bonds and cash and away from more volatile assets such as equities and property. If you have a personal pension plan which has been left on the shelf for a while, it’s well worth your while dusting if off and speaking to an independent financial adviser. You should be pleasantly surprised by how easy it can be to release more value from your pension and make it work even harder for you. Nick Lawlor is the owner of Lawlor Financial Planning and is one of only a small number of Certified Financial Planners or CFP®’s operating in Ireland and is based in Keeper’s Cottage in Leixlip. Contact nick@lawlorfp.ie or 0863161232 for a complimentary consultation. Nick Lawlor Financial Planning Ltd trading as Lawlor Financial Planning and Simplysave is regulated by the Central Bank of Ireland. Lawlor Financial Planning does not take responsibility for individual financial decisions made based on this article. Changing Jobs? Don’t leave your pension behind! 30 and 40 years ago the most sought after job in the country was a permanent pensionable job for life. Usually in the public sector as a “job for life” was simply unattainable elsewhere. Guaranteed wages, guaranteed pension. Why not? But times have changed. With the influx of overseas companies and the growth in exports and Irish based companies the variety of job types and employers in Ireland has grown exponentially. IT and Pharmaceutical operations exploded in Ireland. Job security seemed assured and the tendency to move from one company to another became much more common. In fact it became the norm to move jobs numerous times throughout the course of a person’s career. While this has slowed in recent years due to the lack of job opportunities in Ireland, the reality for many is that they have been forced to change careers due to redundancies and company closures or have moved employers voluntarily. So why am I bring all this up? Individuals have a full career. Normally 40 years or so long. That career must not only pay for the 40 years you are working but for the 20 + years after you retire. Now before you think I am about to tell you of the importance of saving for retirement, stick with me. Of course it’s important and I’ll never stop telling clients that but what happens if you spend 10 years working in 1 place, 2 years in another, 4 in another and so on. What happens the pension payments you made in the company you used to work in. If you are like most people, if you have changed employers, you will have received a “leaver options form”. Not knowing what to do and too busy with your new job or indeed searching for a new job you left your pension entitlements in the hands of your old employer. Not always the wisest of moves. Pension’s law in Ireland allows you to take control of your money instead of leaving it in the hands of your old employer in whats known as a Buy Out Bond (BOB) or Personal Retirement Bond (PRB). Leaving your accumulated fund with a previous employer, you will have to contact the schemes trustees to access it at retirement. This could of course prove problematic if the company is no longer there leaving you with the problem of having to start the search for where your fund might actually be? Not only that but you will be handing over full control of the investment choice and the risks taken with your retirement fund to someone else. By transferring your accumulated fund into a BOB you will regain full control of your fund and in doing so also take control of the charges, the risks and the retirement age. Some individuals will transfer their old employer pension to their new employment but this is not always the way to go either. The rules of your new scheme would then apply which are usually not as favourable as the older schemes. Most older schemes will have a retirement age of 60 and newer schemes 65. The BOB has become much more popular for a variety of reasons. It removes the need to stay in touch with your previous employer. You will receive all correspondence and you will have total control of your fund. The rules of the old scheme will still apply but now you control the money. Importantly, a BOB will also in some circumstances allow for access to funds from the age of 50 without actually retiring. Pensions are complicated and it is fair to say in some cases it may be more beneficial to leave your money in the old employer fund of the old scheme offers certain benefits. Advice here is crucial. There are many scenarios and very many rules to navigate. But in summary, if you have changed jobs and left your pension behind, not only can you more than likely save money but regain full control of your money too. So the banks are lending again are they? Finally, it seems that the property market has started to turn after 5 years of unending loses and declining values. An entire generation seems to be burdened with the term “negative equity” but for the first time in years there seems be genuine demand for family homes as people start to believe there is genuine value in the market again. Whether it an expanding family, a job opportunity or opportunism, demand for housing has finally returned. This year, in Dublin and surrounding areas, property values seem to be on the up and up as has been heavily reported in the national press so time for those in negative equity to have some hope again. I asked Lorraine Mulligan of REMAX Celbridge for her thoughts on the market in our area. “There is certainly upward movement and a much higher demand for family homes in the area. In the last 6 months only, there has been a 7% to 12% increase in the price of 3 and 4 bed homes depending on the individual house” Lorraine maintains. The light at the end of the tunnel has changed from a flicker to being fully visible again. The news from the European Central Bank last week was also good as the ECB rate was again reduced by .25% which means that for those on trackers will see a further reduction on existing monthly repayments. The news is not so good for those on variable rates as European rate cuts mean the banks in Ireland makes less on trackers therefore often look to make it back on the variable rates they do fully control. Mario Draghi, the guy making the final calls in Frankfurt, has also said he will keep going until the Eurozone recovers so it looks like the rate cuts are not going to be reversed anytime soon. So for those of you interested in getting involved in a property purchase and require a mortgage to do so, how are the banks treating applications recently. For years, the banks simply weren’t lending to any significant degree. In fact if you weren’t a public sector worker married to a public sector worker with no kids, of an age where kids were unlikely with lots of savings and interested in buying in Dublin the answer was normally quite predictable. But things have changed somewhat. Yes mortgage are still difficult to get but the banks do now seem interested in lending again. They will still be very strict on the cases they accept but lending is happening again. So today I wanted to run through some of the things prospective borrower should have ready before applying to give themselves the best chance of being successful in applying. The banks will want to look at your current employment and whether it’s permanent or contract. If you are in a job less than 2 years, what was your previous occupation? How stable is your industry?. Safe to say, civil servants are viewed more favourable than self-employed carpenters. Years ago banks used to judge your mortgage application as a multiple of salary, now banks use a system known as Net Disposable Income. Each case is determined on case by case basis but to give you an idea a client must have after a stress tested loan repayment, a balance of €1350 for a single person, €2050 for a married couple and an extra €250 for each child a couple has for living costs regardless of whether you need this amount or not. This is the minimum guideline figure that you must show as having left over after you pay the monthly mortgage you are applying for. Furthermore, the area you intend to purchase is considered. Urban is favoured over rural and higher loan to value amounts are provided for in urban areas. One of the biggest questions I get asked revolves around the subject of Negative Equity mortgages. Do they exist? Well the answer is yes, but only some providers and again on a case by case basis. One bank is making negative equity purchases possible by placing the negative portion of the loan into a term loan for 10, maybe 20 years allowing for some clients to move. Again lots of conditions but good to know it’s possible. Other providers are yet to make their position clear on negative equity mortgage but watch this space as time goes by. Finally all providers will naturally insist on payslips, bank statement for at least 3 months, savings account statements for the last year, rent contracts and credit card statements for the last 6 months as standard so your spending patterns can be reviewed. Clearly first time buyers are finding some more success with their applications than they were. It is a difficult process but getting it right from the outset definitely speeds things up. As always, I would recommend using an independent broker as they will have access to numerous lender and considering each lender has a variety of criteria that must be satisfied, a little inside knowledge can really make the difference between getting the property you want and missing out due to a slow response from a lender. You might not see it but at this time of year, a subtle but noticeable amount of pension companies yearly advertising budgets are taken up with talk of pension contributions, talking to the younger version of you, what will happen when we get old and of course how much tax you pay. Well why all the attention? Well its tax deadline time. As the tax deadline approaches for final returns for 2012, now is the time to pump up your pension and write off some of last year’s tax bill. That is the message. So while you lie back in bed tonight dreaming about walking those sun soaked beaches hand in hand with your life partner, supping on mojitos, taking 4 cruises a year and upgrading your car every 2 years in retirement, know that the pension season is designed to highlight these dreams and show you how they can become a reality. But with every holiday comes a price tag. So allow me to show you what this all means. Well, plainly put, tax you paid to the revenue last year, that was thought to be lost forever can be put back in your pocket and spent in your future. Imagine for a second that you paid over the course of your lifetime €2m in tax to the Irish Government. Now consider that you have just arrived at the time of your life when your mortgage has been paid, the kids have grown up and it’s time to enjoy the fruits of your labour only to discover that changing the car every year, taking those 4 cruises, in fact even stopping working at all might not be affordable. What an absolute shame it is to then realise that you have worked and earned but unfortunately paid to the revenue during the course of your lifetime a lotto win in excess of say €2m. Not an insignificant amount of money. If you were then told there was a way for you to keep €500k of that tax and spend it on cruises, cars and finishing work most people would take your hand off for it. Well, that opportunity does exist. Tax relief on pensions is still very attractive at 20% or 41% depending on the rate of income tax you pay. The word “pension” has almost become a dirty word because of expensive charging structures, high commissions and funds that lost significantly in 2007 and 2008. These concerns are all valid and worthy of addressing. Cheaper contracts, lower commissions and safer funds can be chosen. But to ignore how you are going to pay for your life when you retire because of these concerns is the wrong thing to do. Our country’s government gets elected every 5 years meaning that over a 40 year career there could be as many as 8 different governments all with the power to change absolutely everything from the VAT rates to Old Age Pension age and amounts. Anyone who is placing their retirement in the then governments’ hands is taking a massive risk. Considering the cuts in recent years it does not require a huge stretch of the imagination to see pension being decimated. Bear in mind that currently there are 5 employed people for every 1 retired person in Ireland. In 25 years’ time that will become 5 employed people to 2 retired people in Ireland. We will have double the amount of retirees so in the unlikely event that the country has the exact same budget as today, it is fair to assume that our old age pension age will not only be pushed out even further, but the €12k a year will more than likely be halved too. It’s at this point that some take the “bury your head in the sand” approach but I would suggest it’s time to look at ways of trying to help yourself. Saving yourself, investing in property, hoping the kids become doctors are all valid approaches but considering that each year, each month we have the opportunity right in front of our eyes to not line the pockets of the revenue and to redirect some of that tax into accounts with our own names on them for us to spend when you need it most is surely worthy of some consideration. Concerns like fund charges, commissions and pensions funds dropping in value should be addressed yearly with an adviser, not ignored and used as justification for not bothering with your future. It doesn’t go away. The value of generously reducing your tax bill is worth more to you than that. Pension season is now. The reason is that the revenue will allow contributions made to your pension now be used against last year’s tax bill. That deadline is Oct 31st for the majority of us. Each year another year’s tax is lost to you and this time of year is when that happens. Another years tax bill is locked away never to be seen again. My message is simply to consider what you are going to do for your retirement. No amount is too small to get you in the habit. Paying for 70 years of living from 40 years of pay cheques needs some kind of plan. Don’t sit on your Celtic Tiger life insurance policy. I can’t walk past a deal. There I said it. I simply can’t do it. I walk into my local shop and whatever they happen to have on offer that particular week always ends up in my basket. I can’t help it. I am the classic sucker for a deal! I think if we were all to be honest with ourselves, we would all admit it. Whether it’s choosing a holiday, a car purchase, cans of 7up in the shop or on your TV package. All of us are always on the look-out for a bargain. And if that bargain presents itself, often whether you were looking for it or not, it is oh so hard to resist. In fact, the truth is I really enjoy it. I love getting a deal. And I am hugely competitive too. I love walking away knowing that I have done the best deal I can. I have carried this over into my professional life and daily I fight for better deals for my clients and simply love finding solutions for people that will improve that individual’s situation. In fact I have built my business on it. This week I am going to concentrate on one area that is constantly being advertised. Life Insurance is something that most of have, but because life insurance in underwritten at the beginning of a policy it does not have an annual renewal notice like car or home insurance does so it is often just let run on and on. Well today I am going point out some of things I look for when a client asks me to try and help them reduces their costs. Firstly it’s important to recognise who has life insurance and why. Mortgage protection which is a type of life insurance is sold in conjunction with a mortgage. The banks will insist on you having it before you get a mortgage and will often try and sell it to you directly. It is designed to simply pay off your mortgage should either mortgage owner kick the proverbial bucket. 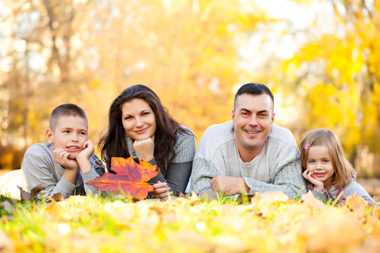 Additional life insurance is also needed when a client has kids or other dependents. The idea is simply that those who rely on your ability to earn money will still need to eat should you no longer be around to earn it. So that’s why, when you’re reading this, think about the policy that you took out with your mortgage or that has been sitting in the attic from all those years ago. A couple of things have changed regarding how the price of life insurance is calculated. Firstly, and very importantly we are now living longer thanks to medical advancements which means that taking out a life insurance policy now compared to even 5 years ago is cheaper. Secondly, there is a variety of providers operating in Ireland and considering that life insurance is a requirement in most households, they have become very competitive with each other. That means that in the last 5 years the price of life insurance in Ireland has been driven down significantly. Again, if you haven’t looked at your life insurance in the last 5 years, it’s probable that you are paying an over inflated, celtic tiger priced policy and not a recently reduced much better value life insurance policy. Thirdly, the EU wide gender directive which was introduced in 2012 outlawed discriminatory pricing in favour of females meaning that male prices have been significantly reduced since. These 3 reasons alone mean that it’s simply crazy to sit on your hands and not, at least, check to see if you can do better. Especially seeing as these policies can often run for 20 or 30 years so even a small saving over time really adds up. And regardless of how small a saving is, it is still better in your pocket. Always bear in mind too that switching your life insurance policy has no bearing on the mortgage itself and can be easily switched. A recent Caledonian Life survey showed that 57% of home owners would switch their policy for a saving of €5 per month. In fact life cover today for a male compared to 10 years ago is up to 49% cheaper and for a female up to 27% cheaper depending on the policy type. Some are more expensive but it’s certainly worth checking. So how do you check? Well, as an independent financial broker, I can check the various providers for you, or you can shop around the various product providers yourself. Either way, it’s important that if you haven’t looked at your life insurance policy in the last 5 years there is a good chance you could be handing over too much money every single month that I am sure you’ll agree is better off in your pocket. Investment timing is everything, or is it? Remember when a bag of crisps was 13p. And when a 10p mix up was actually just 10p. Not that long ago. Most of us, whether we know it or not, are investors. Anyone who has a pension or saves for the future is an investor so this article relates to you. When saving and investing in managed funds, no matter what anyone tells you, there is no such thing as a “dead cert” but the attractive and not so attractive returns of the past do present a clue for the future. But considering the bad news stories in Ireland in the last decade it is very understandable that many people will steer clear of managed funds and stick with what they know. But understanding how markets work removes a huge amount of the doubt and fears that people hold towards investing. Following on from my last article which explained the four main types of asset classes, namely cash, bonds, property and equities, I wanted to give you all some tips when investing in managed funds which are commonly promoted by the banks, investment and pension providers in Ireland. Timing is everything or is it? Markets go up, then they go down then they go up again. No rocket science there but for the investor out there that come along once a year and makes a pension payment the timing becomes hugely important. Take a guy who every October, just before his tax deadline decides to write off a bit of tax and makes an annual pension contribution. He invests every year at this time. If, on that particular day the fund he invests in is up say 2% on the year to date and the fund then settles down after he invests. That client has just lost 2% of his money because of the timing of his investment. If he is unlucky 5 years in a row, his 2% loss becomes a totally unnecessary 10% loss. Take now the same client who puts in the exact same amount of money but did it on a monthly basis instead. He would have a fund value 10% higher than the client who made 5 annual contributions. But why is this? By making regularly contributions you smooth out the highs and lows of the market fluctuations and as a result you get an average return. By making a once a year single injection you are added to the risk. It may of course work out in your favour too but it is important to recognise the added risk. The underlying concept is something called Euro Cost Averaging. It is something that most investors will be familiar with. It can be explained as buying into a market with a fixed amount every month. This way you buy more units on a bad day and less on a good day to smooth out returns. For example, assume a fund fluctuates between €5 and €15 and that €100 is invested 3 times at €5, €10 and €15. In this case you might presume the average cost is €10, however the average price is actually lower. 10 units at €10, 20 units at €5 and 6.67 units at €15. The average price is actually €8.18. So considering a fund has varied from €5 - €15, you win with any price above €8.18 simply because you invested at regular intervals. Imagine for a second you came along with your €300 when the price was €15 a unit! A couple of other tips to be mindful of when investing. Beware of the new flashy products. Investing has been around for a long time and the underlying assets tend to remain the same. Investing in these asset classes in a traditional way will offer a proven track record. Promises do not! Diversify. I will say it again as I believe it to be the most important tip when investing. Asset classes tend to work in opposites. Not all things go up and down together so a good spread tends to level out returns and protect against the possible loses of a narrow investment range. Get independent advice. Individual product providers will obviously only talk to you about their products. So why bother with all of this? It’s complicated. Well the truth is that history tells us there is money to be made over the longer term. A bag of Tayto used to cost 13p, now it costs 85c. A house in Leixlip used to cost €20k now it cost €200k. I used to think my granddad was as tight as they come. But the truth is £1 to him was a full day’s wages. If you are saving for something in the distance, your kids’ education, retirement or your rainy day fund, don’t get stuck holding a 1 Euro coin when your crisps are €3 euro a bag.